Jen Clark (Sara Foster) the wicked witch of 90210 was seen wearing a cuff designed by Nicole Richie for her collection House of Harlow. 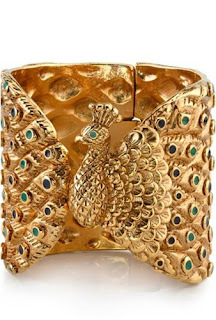 Jen wore the House of Harlow 1960 peacock cuff. This is my second spotting of House of Harlow on 90210! Click here to see Naomi Clark wearing House of Harlow on 90210. 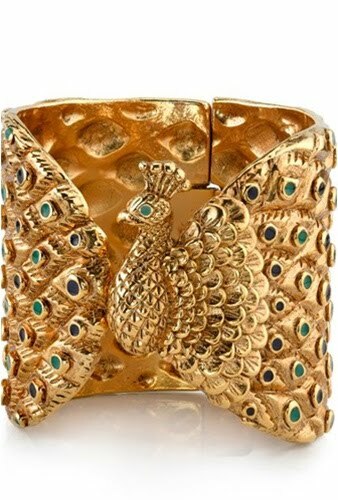 The peacock cuff is a favourite of mine.